The Uncurated Life: Winners of The Vow Movie Premiere! Winners of The Vow Movie Premiere! First, I would like to thank everyone who joined this contest. I wish didn't have to draw winners and just take all of you to the movies!! but alas, it's mere wishful thinking! Nevertheless, thanks so much again! 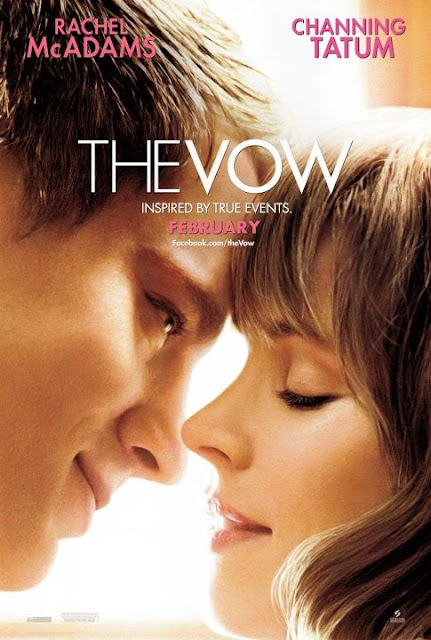 Here it is, the winners to the exclusive movie premiere of The Vow, the ultimate romance film of this year! You won 2 tickets for the movie premiere of The Vow. It's going to be an awesome pre-valentine's day! I'll contact you via email on how to claim your tickets! congrats to the winners. what a romantic way to celebrate V day! thanks hun! see you later!